Thanks to numerous vacation destinations and fascinating geological features, any road trip to Kansas (KS) is nothing less than enjoyable and fun. The state has 11 physiographic regions that represent a spectacular variety in landscape, terrain and wildlife. 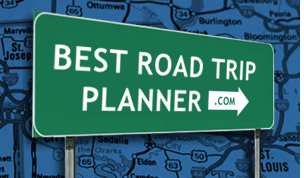 The Kansas Scenic Byways, which consistently rank among the state's top attractions, pass through eight of these regions. Overall, there are nine scenic byways in Kansas, each offering visitors an abundance of attractions and activities to enjoy. If it's birds and wildlife you're after, take Wetlands & Wildlife National Scenic Byway; if your interest is in Civil War history, Frontier Military Scenic Byway is all you need; and if you're an art enthusiast, Post Rock Scenic Byway is your best choice. Hit the road and enjoy the drive of your lifetime!